Sorry about the delay for Rumor or Not posts.. I was busy with other things. 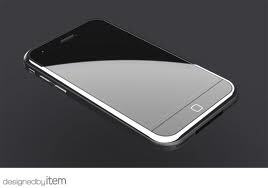 Today’s Rumor or Not is “Will the iPhone 5 be thinner and lighter? According to some suppliers of components to Apple, the new version of the iPhone is expected to be thinner and lighter than the iPhone 4 and sport an 8-megapixel camera. Officials at both companies declined to comment. All the equipment in the iPhone is thinner and lighter to make this statement true, along with making the iPhone better?